Comedy King Allari Naresh teams up his successful producer Anil Sunkara for the fourth time after hilarious hits like ‘Aha Naa Pellanta’, ‘Action 3D’ and ‘James Bond’. The new movie in this successful combination has been launched formally with pooja held today. 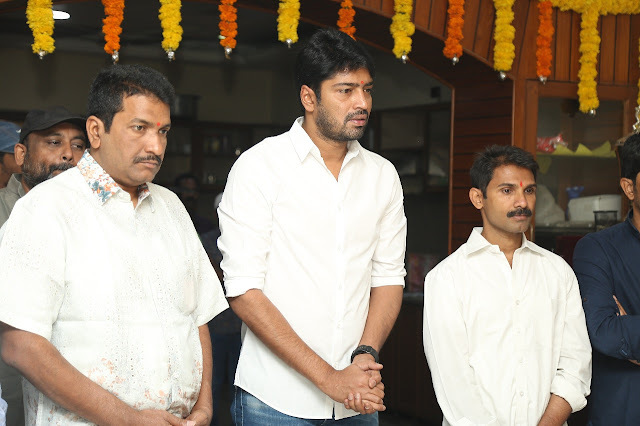 It will be Allari Naresh’s 55th film and AK entertainments Production No. 15. Ramabrahmam Sunkara will be producing it. This comedy entertainer will be directed by PV Giri who made sensational debut with ‘Nandini Nursing Home’.